SINN Féin assembly member Raymond McCartney was placed under a surveillance operation which caused a fall out within the British army after it was uncovered. Fresh details about the extent of the operation shed new light on the 2002 spy mission which was eventually rumbled when a British soldier who had sneaked into McCartney’s empty house left an intelligence file in his kitchen table by mistake. 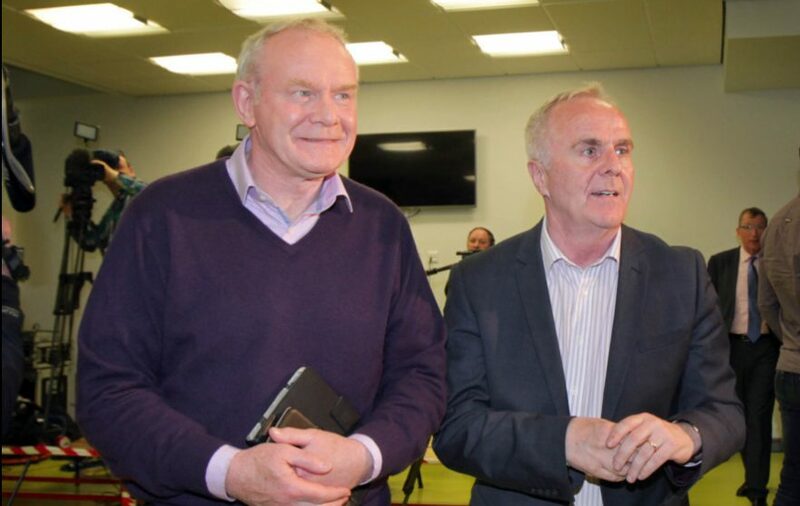 A former IRA hunger striker, Mr McCartney was elected to the assembly in 2004 for the Foyle area. A member of the Policing Board, he formerly sat on the assembly’s justice committee. According to Seán Hartnett the operation against Mr McCartney involved several undercover soldiers and an MI5 officer who had flown in from England. Known as ‘Bill’, the MI5 man who traveled in disguise as an angler, was an electronics expert who disabled house alarms and searched properties for hidden security devices. He, along with two undercover soldiers, used a specially cut key to gain entry to McCartney’s home while the Sinn Féin man was away on holidays. And while ‘Bill’ carried out a sweep of the house, his colleagues planted a series of listening devices. Other soldiers provided cover outside the house, with two posing as a couple while another pretended to be drunk. It was only after they returned to base that the soldiers realised they had left an information file, known as the ‘the book’ behind them. ‘The book’ contained details of all surveillance carried out on a target and is a treasure trove of information. It contains background information on the target and their relatives, their movements, who visits their homes, when they get up and go to bed, the layout of their homes and details about family pets. With no time to return to Mr McCartney’s house before his return home and an unwillingness to engage with the PSNI, which could have raided the house, the military abandoned the document which was eventually discovered by the Sinn Féin man. The author also reveals that the operation mounted against Mr McCartney was launched after it was confirmed he had arrived at his holiday location via a tracking device placed on him or in his car. Mr Hartnett believes that after the find a “civilian team of counter-surveillance experts” carried out its own sweep of the house on behalf of Mr McCartney but failed to turn up the bugs. “They didn’t find a thing: a reflection of both the quality of the insertion team and the ineptitude of the team carrying out the sweep,” he writes. Two years later another bug was found in the home of Mr McCartney’s brother Andrew.